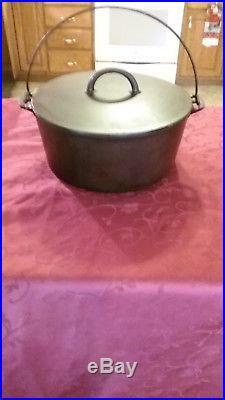 This is very nice Antique Pre-Griswold #10 Dutch oven. 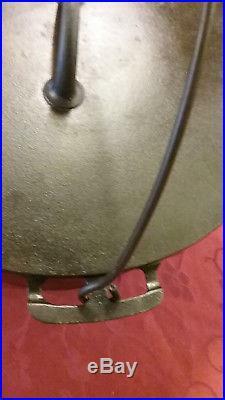 Dutch oven features an outside heat ring and bail handle. It sits perfectly flat on the counter , no spin, no wobble. No cracks, repairs, major pitting or rust. 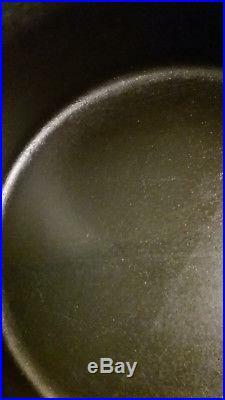 The outside heat ring has a minor casting flaw in on place (see pictures for close up)s. Cooking surface is very smooth. 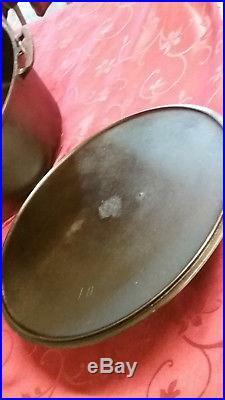 Inside bottom has some either utensil marks or minor casting flaws. 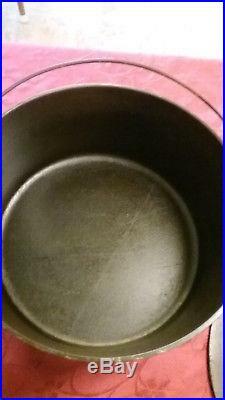 My guess would be casting flaws given the age of the pan. There are a few extremely minor pin hole pit marks (nothing major at all) which will not affect cooking in any way. The oven and lid have been well seasoned. Lid also has either a casting flaw or pinhole pitting on the underside. I really think these areas are casting flaws since there was no rust on the oven or lid when I bought it. 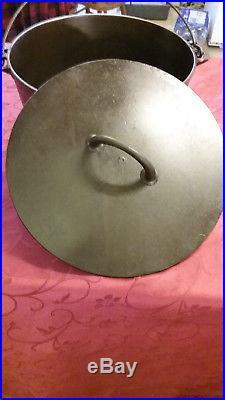 Light weight for a cast iron skillet of this size just over 4 lbs. Bail handle in excellent condition. 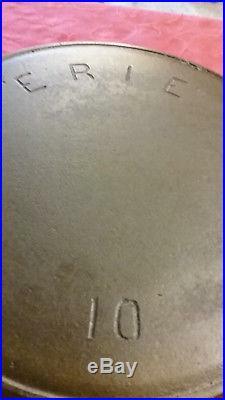 Markings on the bottom include: ERIE and the number 10. 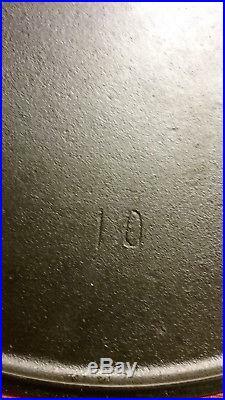 Markings on the underside of the lid is the number 10. Measures approximately 12 diameter X 5 1/8 deep (without the lid). It has been thoroughly cleaned down to the bare metal using electrolysis and seasoned 3 times in the oven with organic flax seed oil. 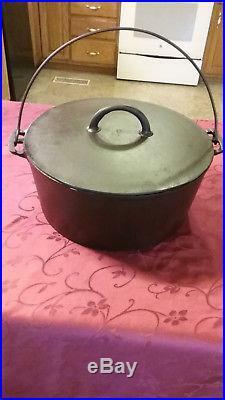 The item "Antique Pre-Griswold ERIE #10 Dutch Oven w Lid Heat ring Bail handle Restored" is in sale since Sunday, April 22, 2018. 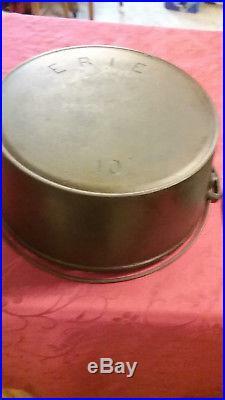 This item is in the category "Collectibles\Kitchen & Home\Kitchenware\Cookware\Cast Iron". The seller is "cem87_mich" and is located in Laceys Spring, Alabama.